Just Music Makers …till now. In the middle of this long pause we’re taking, some recording from our previous sessions came up from the crates, so we decided that it’s time to recap what has been done by JMM crew, till now. For our first event we guested the fascinating modern electro producer Annie Hall from Madrid and the upcoming local talent Vaghe Stelle. Proper second JMM event with two of our London’s favorite producers: Plant43 and Jo Johnson, of Ai, Semantica, Further Records fame. A night dedicated to Eclipsemusic record label, featuring live sets from the label’s artists (Decoside, Edanticonf, passEnger+xluve) and to the intersection between contemporary dance and live electronic music thanks to Karma Dance Project. Almost a dream come true, Detroit legendary producer Gerald Mitchell (Underground Resistance, Los Hermanos) finally in town for a dj/live set. 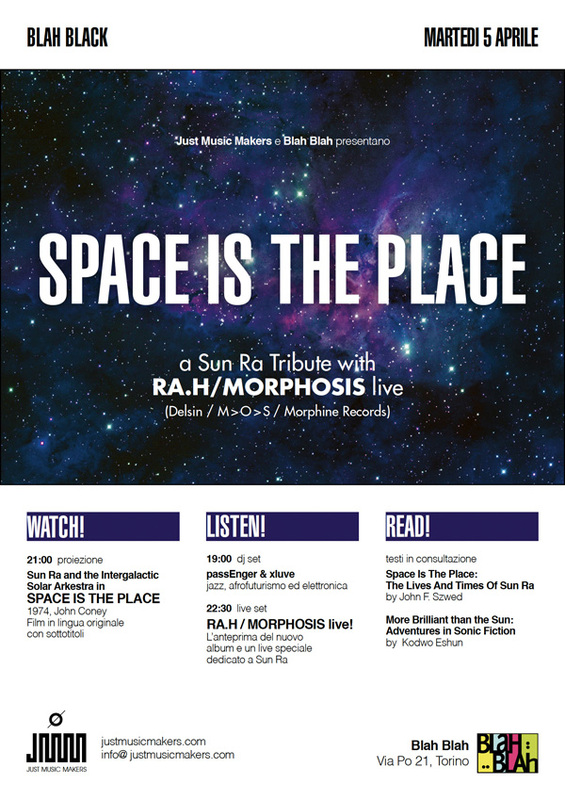 A special session dedicated to the life and music of Sun Ra: we screened the cult movie “Space Is The Place” and hosted a specially dedicated live set from Ra.H / Morphosis. Session dedicated to some Italian favorite: the 16 years old vintage prodigy Furtherset and the advanced-idm audio/video group Riga. 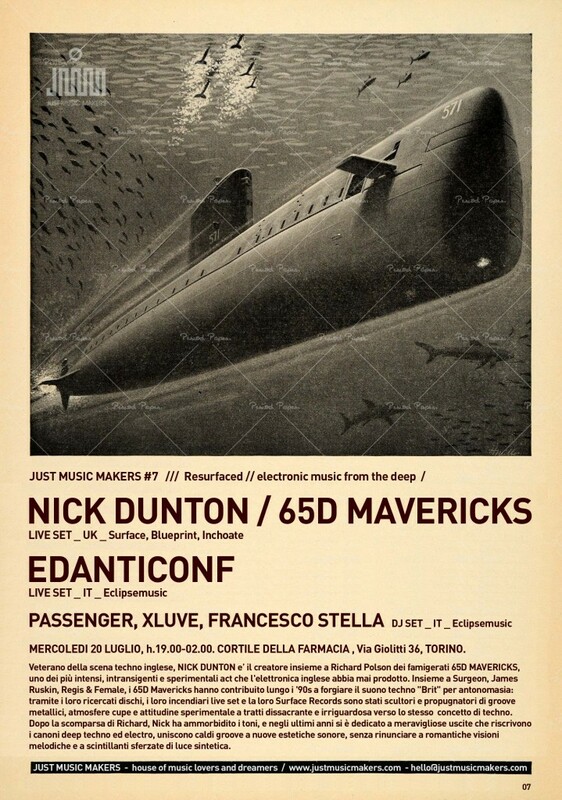 A lovely deep Techno night with one of our italian favorite, Edanticonf, and a wonderfully shaped emotional set by one of our heroes, Nick Dunton aka 65d Mavericks. 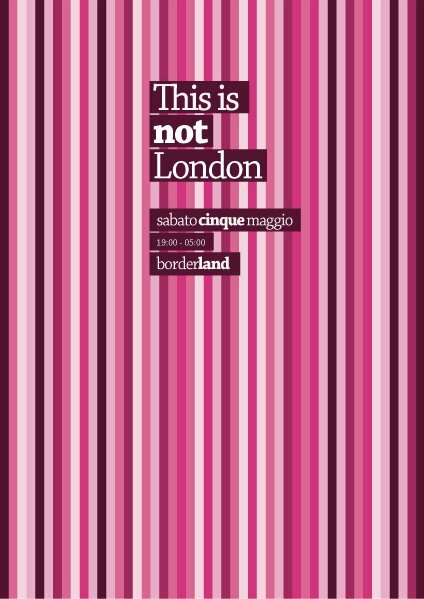 Just Music Makers returns for a special event; ‘This is Not London’, a mini festival co-produced together with small but fierce underground realities of our hometown, each one showcasing its talents. 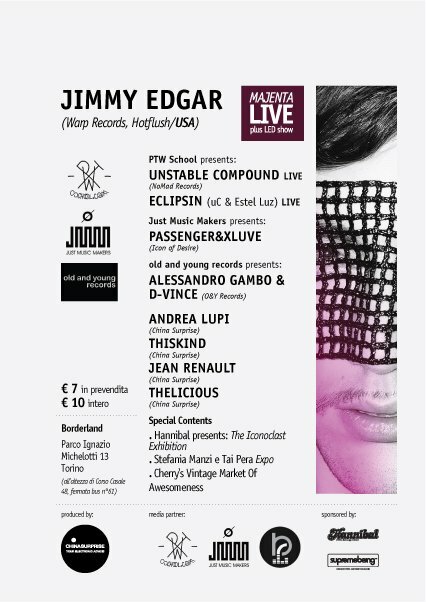 China Surprise with its djs, Unstable Compound / Eclipsin live act, Old and Yound Records djs and JMM residents passEnger + xluve. Main guest will be the one and only Detroiter future funk prodigy JIMMY EDGAR! 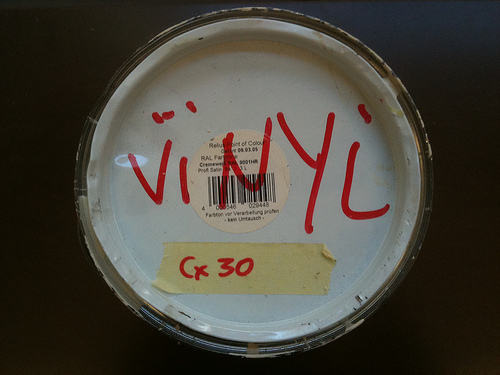 We at Just Music Makers love everything that is vinyl related. 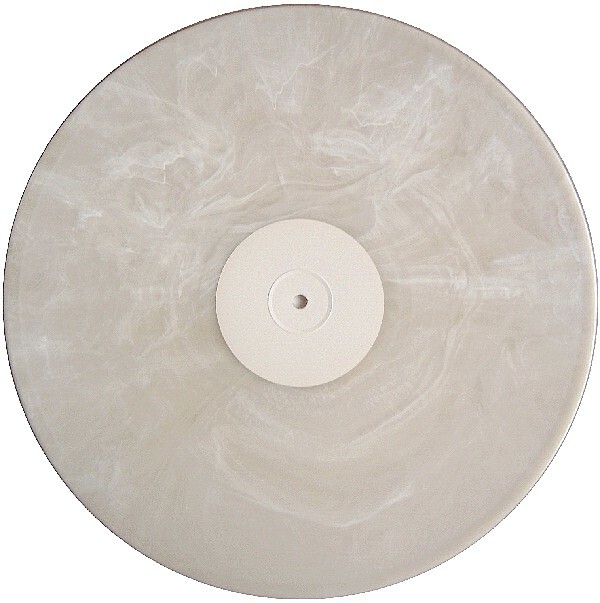 Paolo Campana, a friend and movie-maker, is finalising his new “opus magnum”, a work dedicated to vinyl records, aptly titled Vinylmania. You can support the realization of the film pledging any amount of money and getting back serious goods like special edition DVDs, private screenings, limited edition 7″ and far more! Check the Kickstarter campaign here: Kickstarter | Vinylmania. “A trip into the grooves, Vinylmania is a 75 minute feature length documentary about an object that has never lost its soul: the vinyl record. An epic love story, the film is filled with fascinating characters and internationally recognized artists including Philippe Cohen Solal (Gotan Project), Winston Smith (Dead Kennedys, Green Day record sleeve artist), Peter Saville (Joy Division, New Order record sleeve artist) and DJ Kentaro (2002 DMC World DJ Champion). 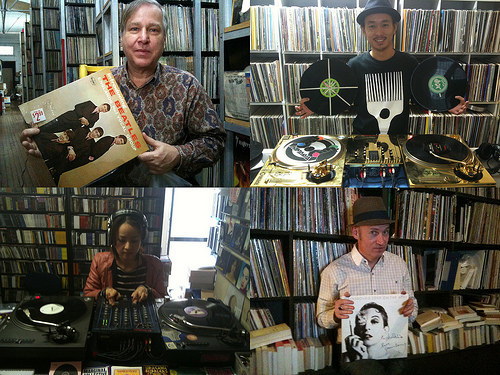 Devotion, ecstasy, infatuation, agony – all feelings that the director of the film, Paolo Campana, has experienced from childhood and shares with like-minded record collectors, Djs, musicians and artists (the said vinylmaniacs) in the documentary. Set in 11 different cities worldwide, the director sets out on a global road trip to find out what role vinyl records play in the 21st century! Campana in an effort to make the double DVD ‘Vinylmania’ commercially available has begun a Kickstarter campaign – essentially supporters of the film pledge their financial support, anything from $1 upwards – once the $33,000 is raised the film will be finished and those who pledged will receive an appropriate award. The pledges are to used to cover the costs of; Clearance rights of the music for DVD worldwide release, a voice over artist and studio to mix an English language narration track (currently in Italian by the director himself), creation and editing of the bonus materials, creation of a DVD graphic, case and booklet, a 5.1 surround sound version, and licensing costs. Remember, if we don’t reach our funding goal of $33,000 by 10th November no money changes hands. It’s “all or nothing” so please support us! We did it, and you? 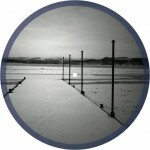 Long time since latest passEnger‘s mix, so here’s a new one for you. Stuck in between moody classics, new shiny pieces of wax, some unreleased stuff and some special editions. 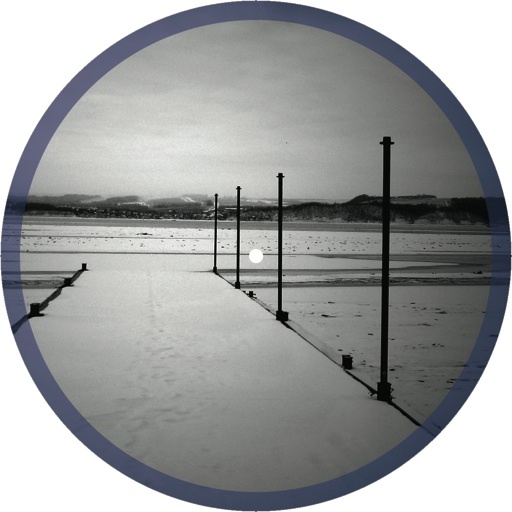 From Techno to Electro, with some Deep House to smoothen the edges. You can download it clickin on the little downward arrow on the right of the player. Just Music Makers #07 – JMM resurfaces w/ 65d Mavericks! 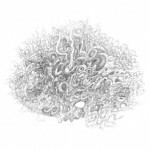 Just Music Makers #05 – Ra.H/Morphosis …Space is the Place! Just Music Makers session 5 is here! Two months after the awesome performance GERALD MITCHELL gave us in january, JMM is back. This time, a night dedicated to Sun Ra: projection of “Space is the Place“, the 1974 classic movie featuring the great jazz musician, and Ra.H/Morphosis playing live. 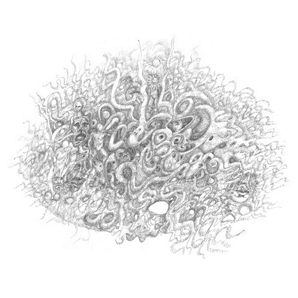 Tuesday 5th April, at Blah Blah, in Torino: expect some other wordly visual/sonic experience! 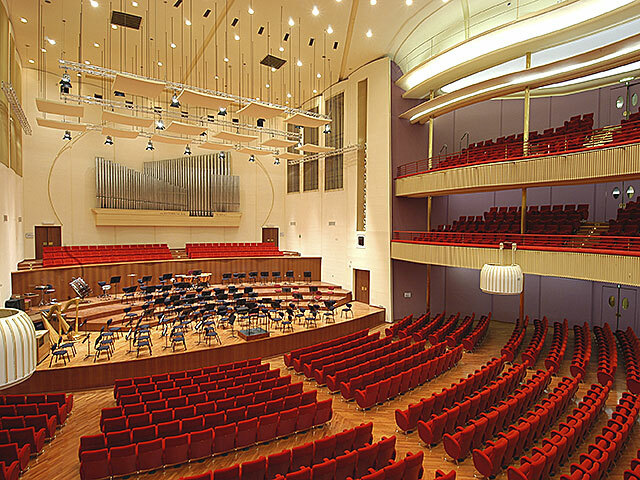 Started in 2010 by the National Symphonic Orchestra and Xplosiva Association, RAI Nuova Musica takes place in the wonderful RAI Auditorium in Torino, Italy. Its programme usually includes a series of contemporary classical pieces performed by the RAI National Orchestra and a performance by an electronic music act. 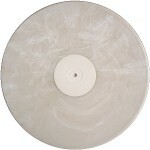 The latter usually performs a classic dj/live set and a live reworking of one of the pieces performed the same night. It’s a rare occasion in which the two worlds really can get in touch. 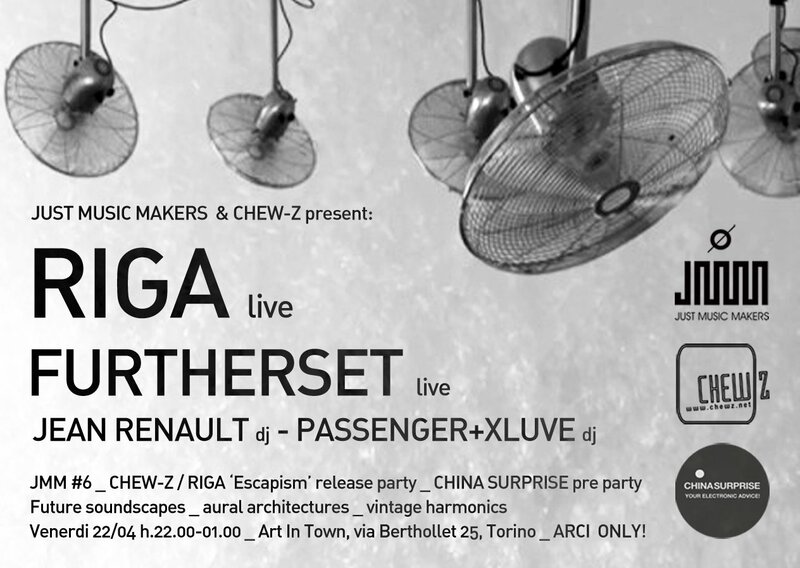 Me and Marco (passEnger + xluve) have been invited to perform at RAI Nuova Musica on Feb. 4th, 2011, and we delivered a special live set, in between broken rhythms, ambient/idm-ish sequences and weird machine-driven improvisations. In addition to the live set we were asked to rework a selected piece performed that same evening: ‘The Hague Hacking’ for two pianos and big ensemble, written by Dutch composer Louis Andriessen. Performed by RAI National Orchestra, featuring Katia and Marielle Labècque at pianos and directed by Frank Ollu, The Hague Hacking is a beautiful, complex, 20′ piece that we reworked live using the audio from the rehearsal recorded the same morning. First mix of 2011, some stuff I love from african disco classics to ’70s re-edits, from deep disco/house hybrids to detroit-ish house music. Closing the set with an Omar-S classic, and waiting for February 25th when me and xluve will play live along him and NWAQ at Bleep43, London! 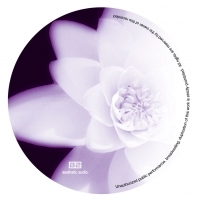 FREE DOWNLOAD by clicking the small arrow on the right of the player.